Who is John Maynard Keynes and how dangerous is his Marxist system of economics? 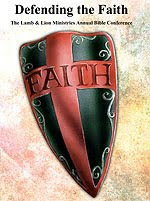 During the last weekend of June each year, Lamb & Lion Ministries conducts a Bible conference in the Dallas, Texas area, with 2010's themed Defending the Faith. The opening speaker was Brannon Howse, the Founder and Director of the Worldview Weekend Foundation, an organization that sponsors Christian worldview conferences all across our nation every year. Brannon is also the author of eight books and is the host of a nationally broadcast radio program which features his biblical commentaries on current events. Brannon's topic at our conference was "The Truth of the Christian Worldview" (watch). He began by explaining that a worldview consists of the basic values that determine a person's decisions. Thus, a person with a Christian worldview would be one who believes in God, believes in the Bible as the Word of God, believes that Jesus was the Son of God, believes that Man is basically evil, and believes that faith in Jesus is mankind's only hope. Brannon emphasized that there is a worldview war going on between Christianity and five other predominant worldviews, namely: Secular Humanism, Cosmic Humanism (better known as the New Age Movement), Post-Modernism, Islam and Marxism. He then began to elaborate on the key individuals who have undermined the Christian worldview here in the United States. 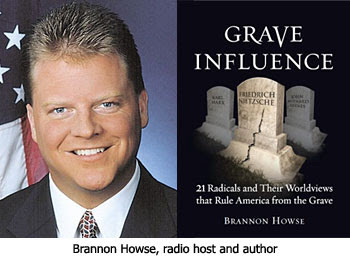 Brannon's presentation was based on his latest book titled Grave Influence. In the book, he presents 21 persons who are undermining America and impacting the world from the grave. One of the radicals that are ruling from the grave from my book Grave Influence is Karl Marx. All these people by the way hate God. 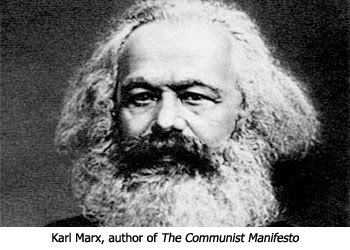 Karl Marx began by reading his Bible every night and was involved in Christian ministry before he turned to the occult. He claimed to be a Christian as a young man. I even have poetry written by him, beautiful Christian poetry. But, sometime after high school he turned and got into the demonic realm. His own father believed he was also possessed. Karl Marx said, "My objective in life is to dethrone God and destroy capitalism." He was involved in Satanism, even wrote a play dripping with Satanism, I believe. Karl Marx is the father of Marxism and wrote The Communist Manifesto with Engels. He said, "I wish to avenge myself against the one who rules above." Also, "The idea of God is the keynote of a perverted civilization, it must be destroyed." Marx also said, "Man looked for a super human being in a fantastic reality of heaven and found nothing there but the reflection of himself." Then here comes John Maynard Keynes. John Maynard Keynes taught at Harvard University. We've got Karl Marx for Marxism, well John Maynard Keynes, that is Marxism, too. Keynesian economics is another word for Marxism. You've got Marxism, Communism, Socialism being the economic philosophy of Marx, and you've got Keynesian Economics. They are the same thing, so you might as well say Marxism. You can say Keynesian Economics, or you can say Marxism. You can say Marxism or you can say Keynesian Economics. It is the same thing. In fact, this is what Joan Robbins a Marxist economist who was a friend who worked with Keynes said, "The little difference between Marx and Keynes are verbal." John Maynard Keynes is the one who was responsible for the Depression being longer and deeper by saying that when there is an economic slow-down the government becomes the primary spender and the primary employer. Sound familiar? Larry Summers, the Presidents chief financial man here now today in 2010, said when asked on television who influenced his thinking more than anyone else, without hesitation he replied, "John Maynard Keynes." I can't tell you the number of elected officials that I have seen on television saying, "Keynesian Economics is what we need. Keynesian Economics is what we need." Keynesian Economics — Printing of money, the government becomes the primary spender, government becomes the primary employer. 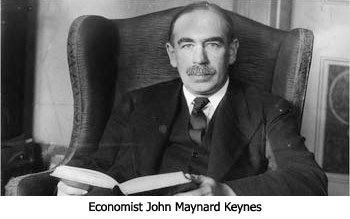 What was the objective of John Maynard Keynes? John Maynard Keynes was a Fabian Socialist. What is a Fabian Socialist? Well, Fabian socialism was started in London in 1883 and a Fabian Socialist wants socialism by evolution, not revolution. They want it over time. Frankly, right now, my friends, there is a war going on within the Liberals between those who are the Fabian Socialists who want to do it over time and those who are outright revolutionary Marxists who want it right now and who think the time is fleeting and since we might not get another chance we better go now. So, there is a war going on between among the Liberals. Some of our Republican friends even are Fabian Socialist, right? And, some of the more moderate democrats are Fabian Socialists. Then there are the extreme Liberals who are just flat out revolutionaries. There is a battle going on. So, your Fabian Socialist wants socialism by evolution, not revolution, and that was what John Maynard Keyes was. The end game of a Fabian Socialist is this — global governance. That is the end game goal of a Fabian Socialist. They want global governance. John Maynard Keynes, by the way, do you know what he said? John Maynard Keynes said, "This is how we implement socialism — by a continuous process of inflation and by a continuous process of printing money." He said by a continuous process of inflation governments can confiscate secretly and unobserved an important part of the wealth of their citizens. By this method they not only confiscate, but they confiscate arbitrarily. Wile the process impoverishes some, it actual enriches others such as Al Gore and others who make billions of dollars on Cap and Trade and trading carbon credits. The process engages all the hidden forces of economic law on the side of destruction and it does so in a manner that not one man in a million can diagnose. Today our currency has been so inflated since the creation of the Federal Reserve, a completely unconstitutional organization that came about in 1913. By the way, Congress is supposed to be in control of the money and the Constitution calls for it be backed by gold and silver. You can thank a man who said he wasn't a Fabian Socialist, but then after he got into the White House Richard Nixon said, "I am a Fabian Socialist, close the gold window." And today, compared to 1913, your dollar is worth 4-5 cents. In 2008 they inflated our currency by 74% over 84 days. Inflate our currency by 74% over 84 days?! Amazing, huh? That's nothing compared to what they have done. This is inflation — it takes more dollars to buy things, devaluing your currency, stealing your wealth, and stealing your capital so you can not be a Capitalist. What does the Bible say about this? The Bible has two of the Ten Commandments against this: "Thou shalt not covet," and the other one is, "Thou shalt not steal." Anytime you steal from someone or take from someone what is not rightfully yours, you are stealing. When you take from someone what is not rightfully yours and give it someone else, that is theft, that is coveting, that is redistribution of wealth, and that is socialism. And yet, many Christians think our progressive income tax system is exactly what needs to happen because this is the way to make sure that everybody has what they need. What did Karl Marx say? He said, "My goal is to dethrone God, and destroy capitalism." Here is what Zygmund Dobbs writes about Keynes in his book available free online, he said, "Singing the red flag the high borne sons of the British upper class lay on the carpeted floor spitting out socialist schemes and homosexual intermissions. The attitude at such gatherings was anti-establishmentarian. To them the older generation was horribly out of date, even superfluous. The capital system was declared obsolete and revolution was proclaimed as the only solution. Christianity was pronounced an enemy force." All of these people hate Christianity, all of them. The worst sort of depravity was eulogized in "the love that passes all Christian understanding." Chief among his ring of homosexual revolutionaries was non other that John Mayner Keynes. Keynes was characterized by his male sweetheart as a "liberal, a sodomite, an atheist, a statistician, and a particular depravity was the sexual molestation of little boys." This depraved thinking goes on today through the promotion of another gentleman (I use that word loosely) whom I talk about in my book. John Mayner Keynes did this, but so did another guy by the name of Alfred Kinsey. I have a whole chapter on him. He said, "Children should be sexually active by age six." Did you hear on FOXNews.com this week the school passing out contraceptives to six year olds? As soon as I was sitting at my desk and I heard that I lifted my head and I thought, "Six years old, why six years old? 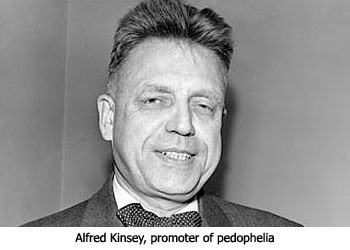 Ah, Alfred Kinsey." According to Kinsey, the kids must be sexually active by six years old before they are influenced by Christianity. John Mayner Keynes and Alfred Kinsey — you see you start seeing these 21 radicals I was able to connect a lot of their worldviews and their beliefs and their perversions together, because guess what they are serving... the same master. These radicals are creating a major crisis on purpose. We began to speak on this about year and a half ago, and we sent it out to all the talk show hosts. I sent it to my friend David Limbaugh to give to Rush. I sent it to Glen Beck's producers and other folks, and thankfully some of them now over the last several months have been speaking about it. My friend James Simpson wrote a ground breaking article on our website about the manufactured crisis and the Cloward-Piven strategy to deliberately collapse the system, as that is what they are doing. These are men like Pulitzer Prize winning author James McGregor Burns, who wrote in 1984 his book The Power to Lead. He said, "Let's face it, the framers of the Constitution have been too shrewd for us. They have been too smart for us." He said, "We cannot just tinker around and have frail bridges, we've got to turn the Founders on their head. But, the American people will not let us go where we need to go. The only way they are going to accept these radical alien changes to our form of government is during a stupendous national crisis." My friends, Lenin said you need at least two things for a revolution. One, you need a crisis, and two, you need the youth of the middle class. They've got both right now — a crisis and boy they've got the youth of the middle class. They unfortunately predominately have the youth of our own evangelical churches as well. Imo this article is spot on. Some time ago I discovered that Allah is a desert demon god (one of many) who was worshiped with the emblem of the crescent moon. Also known as Baal; and Israel is still plagued by her old foe. The prophets of Baal could not bring down fire, but the God of Elijah, as in 1Kings 18, will again cause His fire to fall in answer to Elijah’s call and consume Israel’s ancient enemy during the coming ME wars. If my memory serves me correctly, I think that Zebah and Zalmunna were of the ‘giant’ remnant? I suspect their ‘seed’ may still exist to oppose Jehovah today? I am sure this article is right, but I confess I know very little about politics. I am sorry for this mispost, please delete. Thank you. You are so patient with me! Thank you for your kindness. I still haven’t worked out what I did, but it was an article about Islam and the coming war – it was good. I have had a chicken casserole in the oven for ¾ hour. As it was cooking I made apple custard for pudding. The potatoes were ready so I went to get the casserole out of the oven to start dishing up – it was still blooming cold, I hadn’t set the temp properly. I tried to give hubby his pud first, but he said he would wait another hour for the chicken! The other week I had put the grill on while our meal sat waiting in the oven. Then when I was … never mind, it’s just been one of those days. Praise The Lord anyway! GIRLS as young as 14 are getting Brazilian waxes, a trend experts have labeled ''pornification'' of teenagers. Good to see you back, DrNofog. Was wondering where you were hiding. Hope all's well. More controls from the Marxist "greenies"
Let me know when the dim bulbs start putting meters on yer rain down-spouts to save the planet so I can say "I told you so..."
The idea was drawn up by Oxford University academic Lord Krebs, chairman of the Environment department’s adaptation sub-committee, who said the public had to learn that water was not an “infinite resource” and suggested there should be extra charges for watering the garden. Is THAT how I did it? I couldn’t work it out at all from my ‘history’. MoHammered – heh I like it! As the moon god is, as you say, the god of war; then do you think that links with the ‘god of fortresses’? No, I don’t think the a/c is a Muslim – just that a rose by any other name, is still a rose. (Allahu-ak-baal – membe? As for water not being an ‘infinite resource’ – what he means is they haven’t done enough to store the water we have in abundance. We aren’t called ‘a green and pleasant land’ for nothing. Neither do they maintain the system properly, burst pipes can gush water for days on end before they repair them. How can an island not have enough water? Dry countries manage with desalination plants, but no, they have ‘other’ things to spend our water rates on. Let me tell you. A few years back, a bloke had a water bill from the council for his garage. Yet he had no mains connections at all. No running water and no sewage link. They were charging him for the rainwater that fell onto his garage roof, then dripped onto the ground and eventually found its way into the water course which is government property! So theoretically, that could mean that every animal could be taxed for weeing onto the ground. They already say it’s their flumps that are ruining the ozone layer. “Stupid is as stupid does” makes perfect sense. Beloved DrNofog, how I have missed thee! How’s your missus, is she bearing up? Would you be so kind as to give me the exact reference of your Marx quote "Dethrone God"? I'm looking for something like this. Karl Marx, (Book, paper, speech), Publisher, Date, page #.